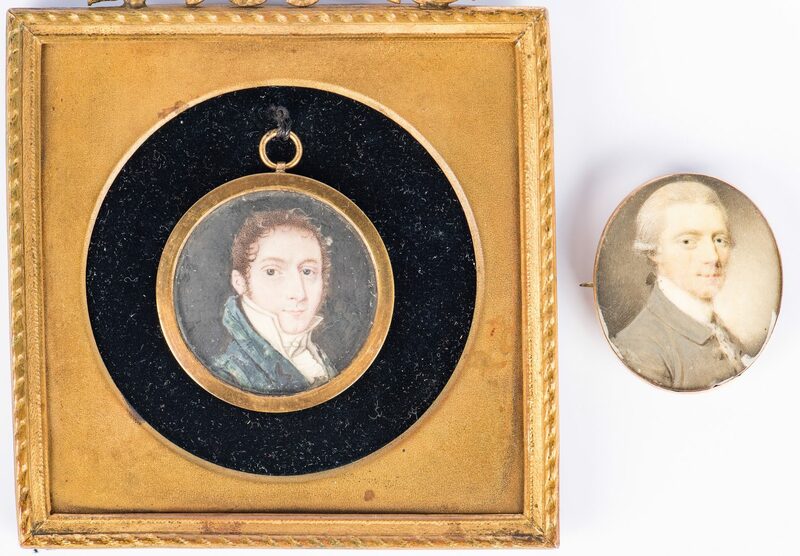 2 miniature portraits of gentlemen – 1 brooch and 1 pendant. 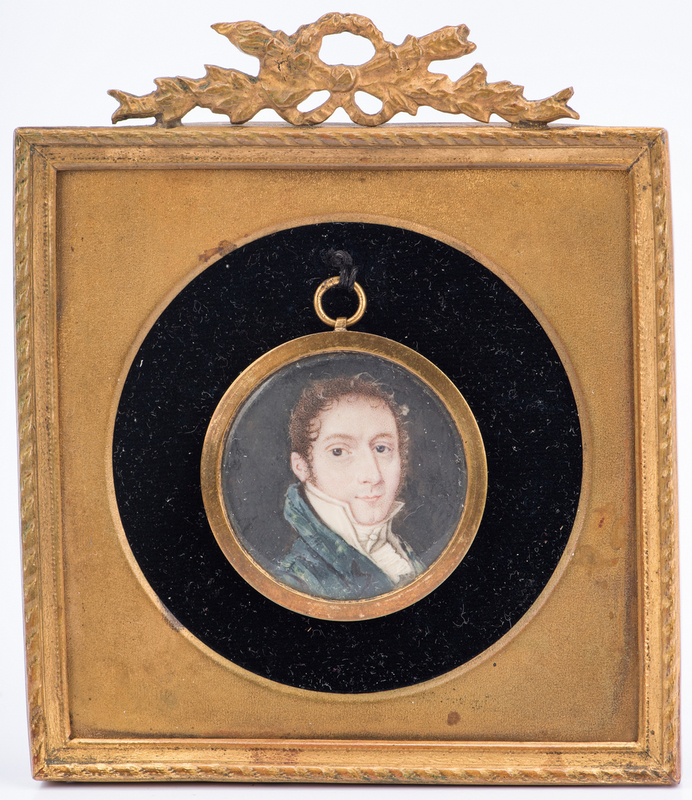 1st item: Miniature oval watercolor portrait of a gentleman in gray coat with powdered hair, in a gold brooch frame. Unsigned. 1 1/2" x 1 1/4". 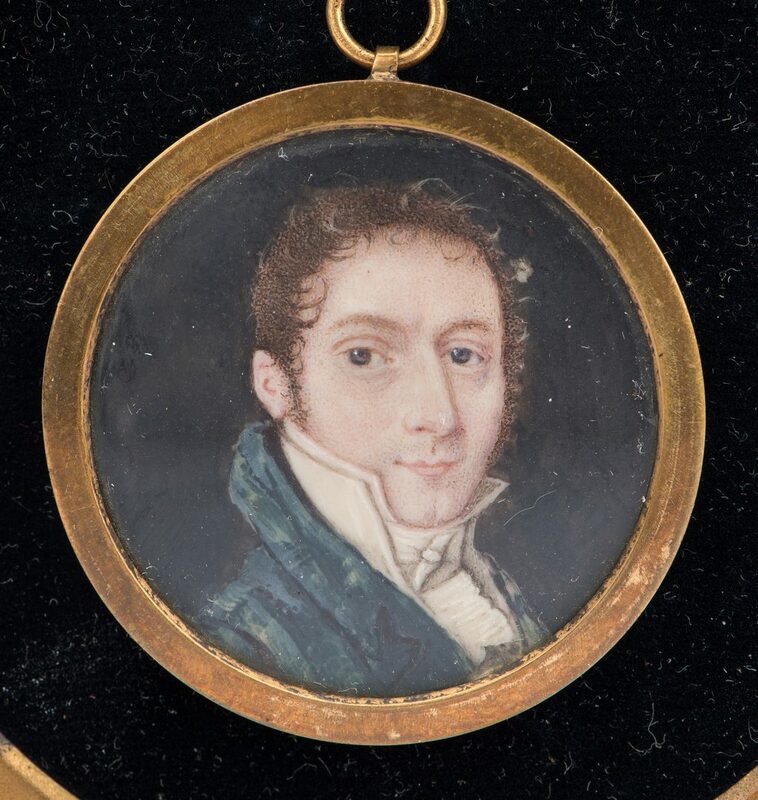 2nd item: Miniature circular watercolor portrait of a gentleman in blue coat, with brown curly hair and blue eyes, in a gold pendant frame attached to a larger and later square frame with central velvet lined reserve. Unsigned. 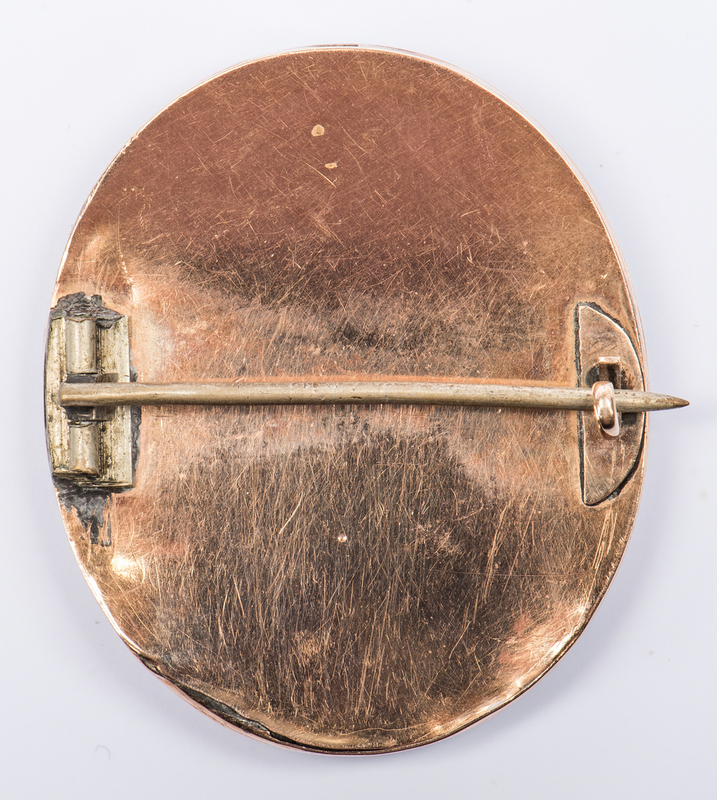 Miniature 1 3/8" diameter. 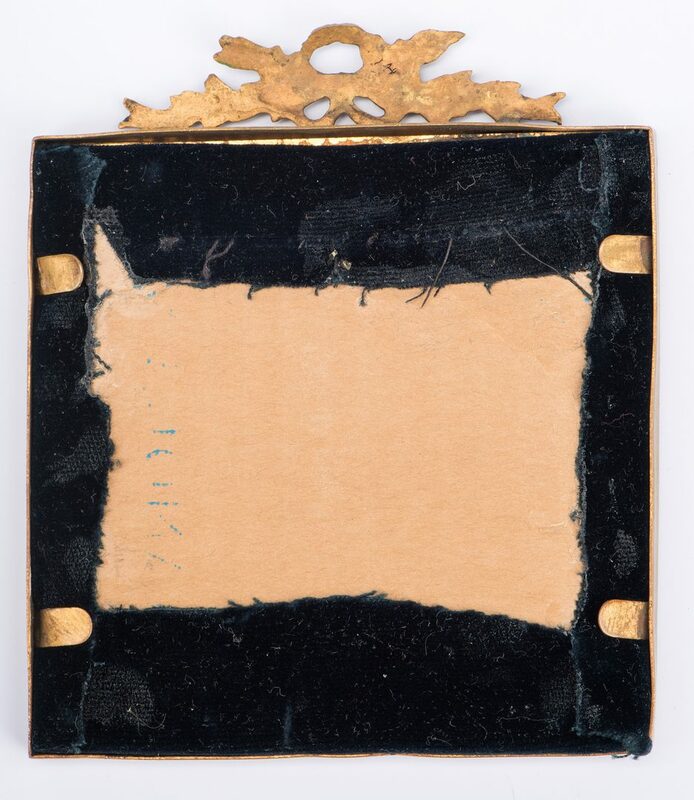 Frame 4" square. 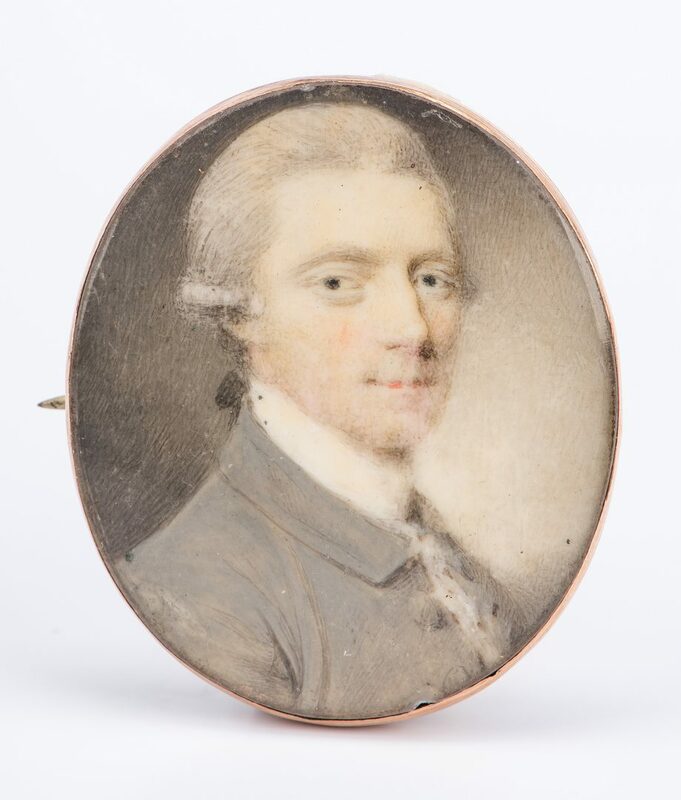 Both likely Continental, late 18th to early 19th centuries. Provenance: The collection of internationally known ragtime pianist and historian Johnny Maddox, Gallatin, TN. 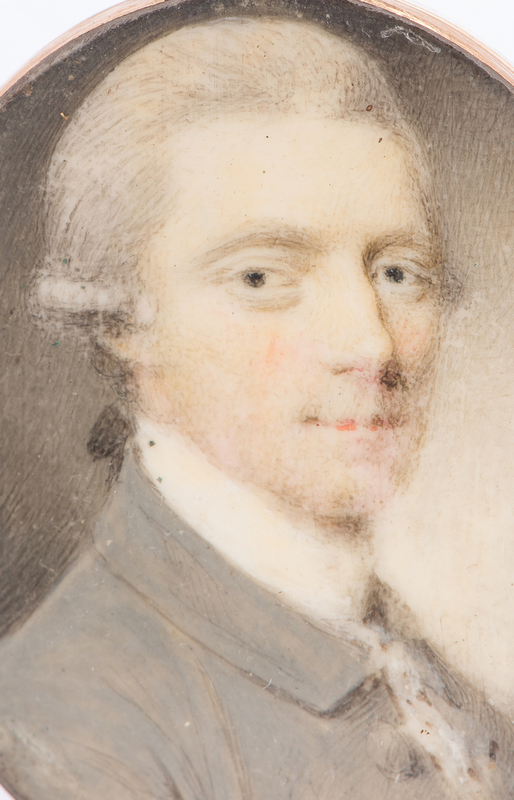 CONDITION: Both paintings in excellent condition with some minor wear to frames.